TEMPE – Two-time national champion. NCAA all-time assist leader. Former consensus All-American. 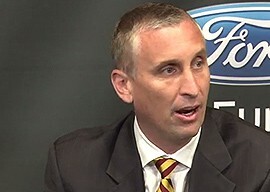 That’s the playing resume of new Arizona State men’s basketball coach Bobby Hurley, who was introduced by the school at a Friday morning press conference. Success as a player doesn’t always translate to success as a coach, but Hurley’s basketball pedigree extends far beyond his four years on the court at Duke. Coaching is in his blood, from his father, Bob Hurley Sr., who leads one of the top high school programs in the country at St Anthony High School in Hurley’s home state of New Jersey, to his brother Dan, who is the head coach at the University of Rhode Island. It’s that history that molded the former Blue Devils star into a skillful sideline architect. 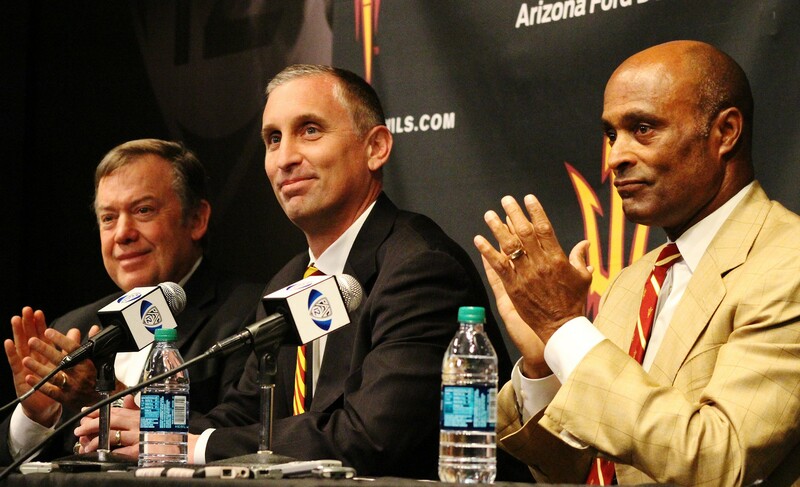 Hurley fielded a barrage of questions during Friday’s press conference about how he can transform an ASU program not known as a basketball powerhouse. His answers had a similar theme: an homage to his roots and lineage. Being an East Coast guy, Hurley is embarking on a big change by moving to Arizona. He spent the last two seasons as the head coach at Buffalo, going a combined 42-20 and leading his team to the NCAA Tournament this year. Now on the big stage, Hurley said he is ready for the tough task ahead of him. Hurley met with his new players as a group briefly before Friday’s press conference, but he plans to spend more time meeting with them individually to get them ready for the work ahead. With all the talk about upbringing, family and basketball, Hurley nervously forgot to mention two very important people in his life: his parents. 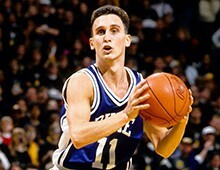 Bobby Hurley led Buffalo to its first-ever NCAA Tournament this past season. Now the former Duke point guard takes over the head coaching position at Arizona State, replacing Herb Sendek. Hurley still leads the NCAA in career assists with 1,076. 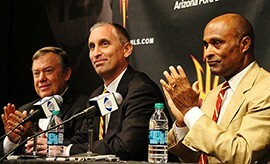 Michael Crow and Ray Anderson welcome Bobby Hurley to his new position as the men's basketball head coach at Arizona State University.